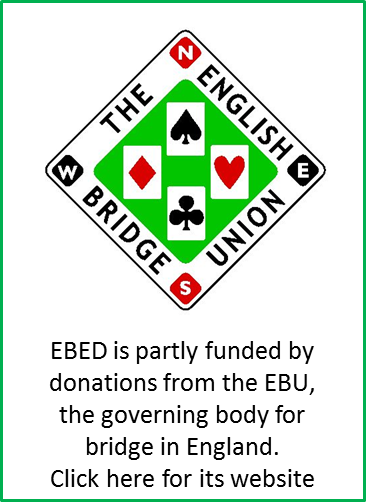 EBED is undertaking research in to the cognitive benefits of playing bridge, and needs volunteers. 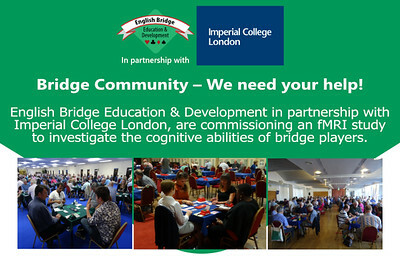 Your may recall an earlier request for volunteers, but we continue to need bridge players who are willing to participate in the study. We are specifically looking for right-handed women, aged between 60 and 80, who have been playing bridge for at least 10 years. Please see here for more details, and for information on how to find more about what your participation will involve. Your contribution will be greatly appreciated.